Must Read Mysteries: Why Amazon Smile? You may have noticed that things have been quieter around here and on Facebook for the past few weeks. This wasn't a result of choice, but of necessity. Our lives turned on a dime when our oldest son became seriously ill and was admitted to our local children's hospital. The days that followed his admission were filled with uncertainty and a roller coaster of emotional and physical exhaustion. 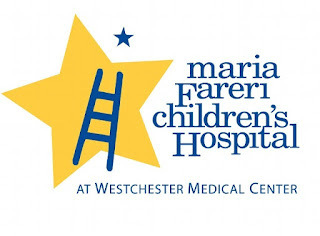 While our son fought to get better and we focused our energies on him, he was being cared for by a top notch team of doctors and nurses at Maria Fareri Children's Hospital at Westchester Medical Center. We cannot say enough about how grateful we are for the world-class staff at this hospital, and we can say with certainty that they saved our son's life. We are beyond thankful to have him home and recovering. Until we experienced it first-hand, we never realized how very unique and special the care provided by this type of institution can be. An important part of this care is the Child Life program that is designed to ease the pain of hospitalization for a child on every level. This program meets the child where they are and helps them understand and cope with what is happening to them. They work hard to bring smiles to sick kids, and we were so grateful for the smiles they brought to our son. Programs like this one are made possible thanks to generous donors, and the benefits the programs provide are priceless. We have made a personal decision to become much more focused in our giving and support of these kinds of programs. We are sharing this with you to ask you for your help. While direct and generous donations are always needed, there is a simple way to support the very important work that is being done at Maria Fareri and children's hospitals around the country: Amazon Smile. This is a painless, super-easy way to make your regular Amazon purchases work for a charitable organization. You can set your preferences for the organization that you wish to support, and a percentage of every purchase that you make will be donated on your behalf. Long ago we made the decision to set the Must Read Mysteries referral links to default to Amazon Smile. Today, we understand on a very personal level why this was the right decision to make. We hope that this post will motivate you to choose Amazon Smile when you make purchases. If you make an Amazon Smile election on your Amazon account, clicking any referral link from Must Read Mysteries will take you directly to Amazon Smile. 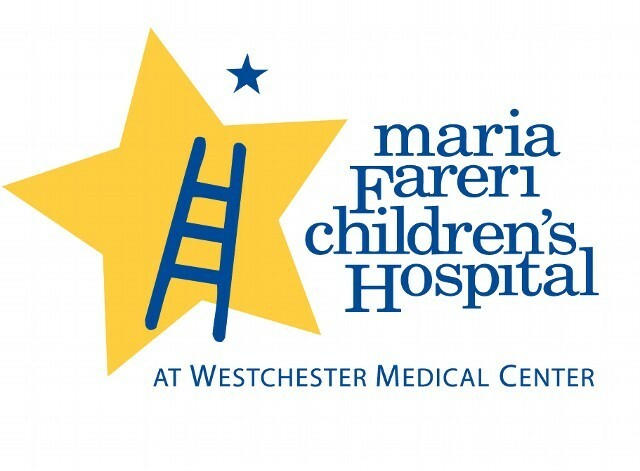 If you would like to support Maria Fareri Children's Hospital, please select the Childrens Hospital Foundation at Westchester Medical Center in Valhalla, NY. If you would like to support an organization closer to your home or your heart, Amazon offers an extensive list from which to choose. We are hopeful that our experience will make others aware of some of the needs that are out there and how easy it is to help make a difference. So sorry to hear about your family's challenges, but am glad to know you son received the timely care he needed. Thanks so much for reminding all of us how a small click we can do every day can make a huge difference in the larger picture. Will keep you and your family in my prayers, and appreciate you sharing the news with all of us. Take care. Thank you Ritter, we appreciate it! I am so sorry to learn of your son's illness, but so happy that he is at home and recovering. I have had my Amazon account set at Amazon Smile for a long time and hope it helps in some small way. Thank you Carolyn! Glad to see you have set up your smile account. We changed our links earlier this year because so many of our followers had already done so. Praying for you both and your son. God bless you . Thank you Joy, it is greatly appreciated! The outpouring of support we had from our friends throughout this process was heartening. We did not have to make a meal for 2 weeks (and there was one night where three different people brought over dinner...good thing there was room in the freezer!). Sending prayers and heartfelt hugs. I too have been set to Amazon Smile for some time but I'm going to review my settings. God bless you! Thank you Mary Jane! We are so grateful and thankful that things worked out as well as they did. We know we are lucky. What a nightmare, but made less so by the caring professionals. I'm glad your son is on the mend. The Amazon Smile program is a winner! Thank you Kaye, we were so thrilled with the care he got. We drove an hour out of her way to be sure he was there based on the recommendation of our doctors (and the past experience of friends). Sorry to hear of your son's illness and pray that his recovery is quick and complete, but I am so glad that since you all had this challenge to face that you found a wonderful facility to provide the emotional as well as physical support. Smile for St.Judes supporter here. Thank you Billie! Those are exactly the kinds of organizations that need our support! So sorry but glad he is doing better - I didn't know about Amazon Smile - sounds like a great program! Thank you Christa....it is an easy way to give back! I am so sorry to hear about your son, but relieved he is doing better now. Sending prayers that he continues to thrive. I'm so sorry to hear about your son's illness. I wish him a speedy and complete recovery. And thank you for informing me about Amazon Smile. Thank you for the kind thoughts Sylvia! He just did a bit of trick or treating, so he continues to come along! I signed up for Amazon Smile. Thanks!